Back in September, we launched a brand new website. Our website is our window to the world, a vital communication and lead generation channel, the place where people come to find out about our company and our solutions; it is also the place where our customers go for support and guidance. In order to optimise our operations, we decided to integrate our new website as tightly as possible with our CRM system – guess what, we use Workbooks CRM! We have put the website at the heart of our customer relationship management strategy. This blog summarises what we have done and hopefully will inspire you to integrate your website more tightly with your CRM. Used on our Contact Us page or for white paper download. 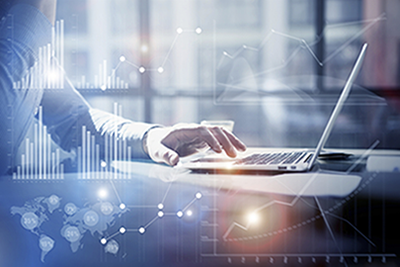 With business logic and workflows are used for our free trial. Once a free trial form has been submitted, a workflow will automatically create a user in Workbooks in order to allow for that person to access our Cloud-based CRM platform and start the trial. This automatically happens on submission of the form. We integrate Google Analytics with our Web2Lead functionality, enabling us to capture information about how visitors arrived at our website. We can then link this information back to a marketing campaign in Workbooks CRM and begin to measure ROI. We can see for example if the money we are spending on Google Adwords is delivering value. 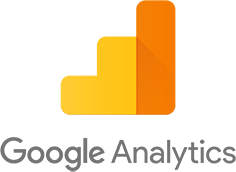 Read our Google Analytics forum post for a technical overview of how this works. We have a Workbooks API integration and scheduled process which checks our leads against our Hubspot records pulling in vital information like – lead source, first visit, last visit and pages visited. This information is added to the lead records in Workbooks enabling clear visibility of activities for our sales team. As the lead becomes an opportunity this same information is transferred to the opportunity record, enabling Marketing to spot which lead sources offer the best ROI and which should be scaled back. In addition to the capturing of leads, we also score leads depending on actions (what people have done on the site) and attributes (job seniority, function, industry sector etc.) so that we can prioritise the follow-up. Based on pre-sets rules, the triaging of the leads also happens automatically and leads get allocated to the right person. We have even pushed automation to the next level by having scripts that analyse the telephone number provided within the form, validate the time zone so that prospects from across the world can be called at a suitable time by our business development team. A big component of our marketing strategy includes events. We organise regular webinars for our prospects and customers. These events are promoted on the website and via email (using the integration of Workbooks with dotmailer or Workbooks Mailshot functionality). 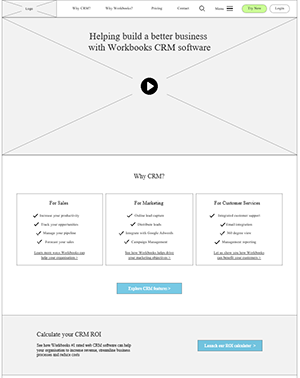 The form on the registration page is linked to a Marketing Campaign in Workbooks CRM. As soon as a person registers, he/she is automatically added to the campaign, a confirmation email is sent with GoToWebinar information etc. The process is totally seamless for the registrant as well as the marketer setting up the campaign as every step is automated – no manual process required. We also manage all of the activities linked to the event, suppliers POs etc within Workbooks CRM – but this would be another blog altogether. When customers have a support issue, they call us or complete a support form on our website. The Web-2-Case form automatically pulls all the information provided by the customer into Workbooks CRM. This then automatically links contact details, enabling our support team to quickly see prior raised issues & communication (incl. phone calls and emails) and even view other issues people in the same organisation are having. Ever raised a support case only for the information to seemingly disappear into a black hole? To prevent this from happening we have created a Case Portal, which allows our customers to log in and review all of the cases they have raised. The Case Portal is placed within our website using an iFrame and automatically talks to Workbooks, updating information back and forth such as case number, status and resolution. Cast your eyes to the top right of our website and you’ll see a login button. This is used by both Workbooks employees and our customers to login. The login form is integrated with our website CMS (Content Management System) and Workbooks CRM to identify if a user is an employee, a customer or a free user. Depending on their user profile, they’ll be presented with different content and functionalities on the website. Our forum provides a way for our customers and support team to engage: customers get answers to their questions, and our support team can share advice and tips on using Workbooks. Single sign-on enables customers to post and reply to forum posts easily. Customers do not have to log into two separate places and it also physically removes any option for SPAM bots to sign-up or reply to any posts – a common problem with forum management. Because we know whether a user is a customer or not, we have the ability to tailor what the user has access to. For example, we can remove gates from gated content – so the customer doesn’t have to fill in forms to download an e-book, saving him/her time and improving the user experience. Once a Workbooks employee has logged in, they have access to website administration capabilities. This way we enable our support team to create and edit knowledge base and forum posts, whilst our internal web developer gets full access to the backend of our website without the need for secondary login. The original Wireframe we received. Integrating our website with CRM is helping us reduce admin work, decrease human error, drive better user experience and increase customer satisfaction. Over time, we hope this approach will also increase sales through gained intelligence and a faster, more efficient sales process. Visit our Contact page and you’ll discover a live chat icon; click and you can interact with our friendly Sales team. This works well but post chat, Sales must manually create a lead within Workbooks. To simplify this process we are developing a solution which allows live chats to automatically push information into Workbooks, creating either a lead or (if an existing user) an activity against a person record.